8 SLOTS LEFT! The Erzullie First Look: Resort 2015 is happening on March 14, 2015, Saturday, 6PM-9PM at the Erzullie Showroom, Legrand II, Eastwood City, Quezon City. 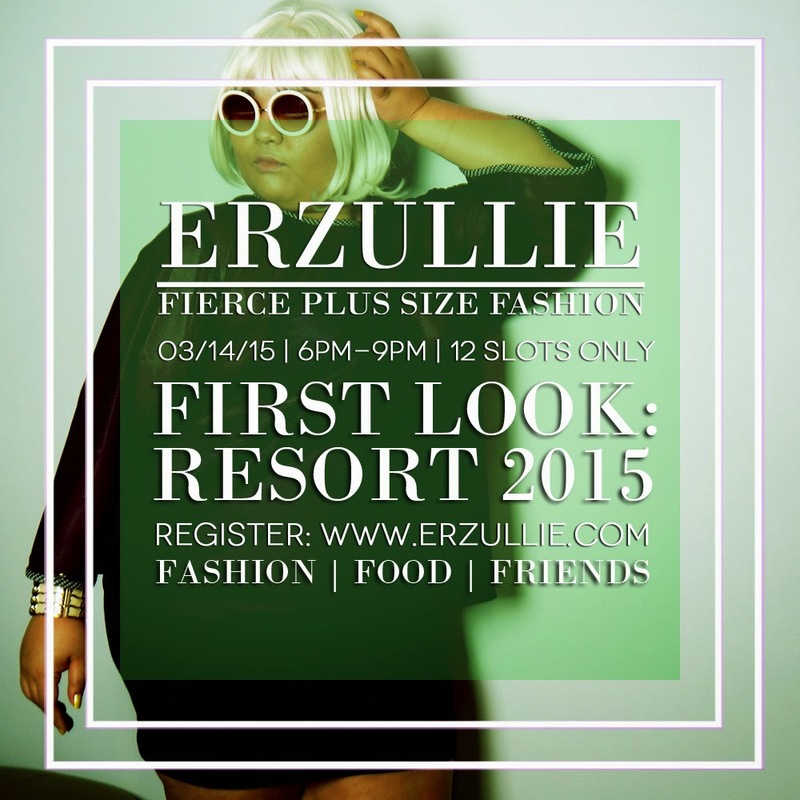 Be the first to see and buy Erzullie’s Resort 2015 collection, get to mingle with fellow Erzulliestas and enjoy 50% discount on past collections! Cash/Master Card/Visa are accepted. 04 Mar	This entry was published on March 4, 2015 at 9:51 AM. It’s filed under Plus Size Fashion and tagged ERZULLIE, PHILIPPINES, PLUS SIZE, PLUS SIZE FASHION, PLUS SIZE STYLE. Bookmark the permalink. Follow any comments here with the RSS feed for this post.